The Netherlands is where nearly $1 billion from Australia was sunk into two companies liquidated three years later. Pharmaceutical giant Pfizer has engaged in a series of paper transactions to create a A$936 million loss in Australia. It is, for all intents and purposes, a billion-dollar exercise in tax avoidance. Pfizer and its auditor KPMG, the “Big Four” global accounting firm, refused to comment on the transactions or to defend them when presented with questions by this columnist. Pfizer was contacted on numerous occasions and refused. Both parties refused to return emails and phone calls. These are transactions housed within a byzantine corporate structure. 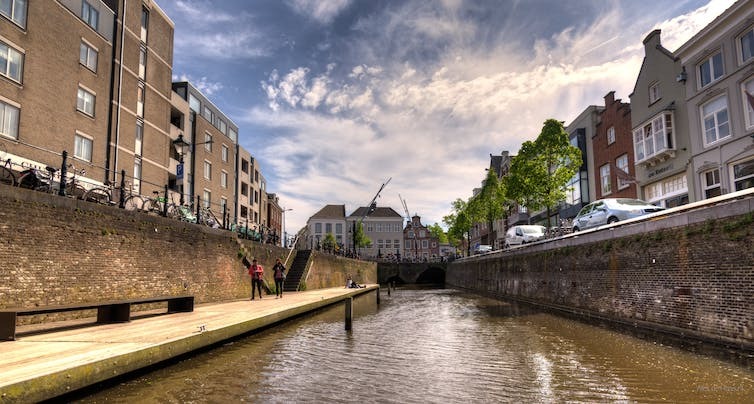 We will outline, in brief, the series of transactions with Pfizer associates in the Netherlands which led to this “bottom of the canal” tax scheme, then provide the background to the company’s activities. 2011: Pfizer Australia Investments Pty Ltd issues $728 million in shares to Pfizer companies in the Netherlands, the US and Luxembourg. 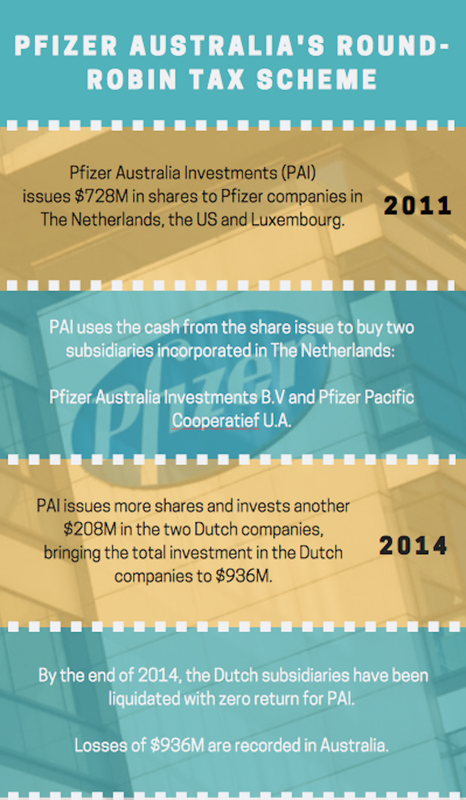 Pfizer Australia Investments (PAI) then uses the cash from this share issue to buy two subsidiaries incorporated in the Netherlands. These are called Pfizer Australia Investments B.V. and Pfizer Pacific Cooperatief U.A. There is no record of these two companies in Pfizer’s global accounts before December 31 2010. 2014: PAI issues more shares and invests another $208 million in the two Dutch companies. This brings the total investment in these companies to $936 million. By the end of 2014, the Dutch subsidiaries have been liquidated with zero return for PAI. The financial effect of this round-robin transaction is that share capital of $936 million has been created in Pfizer’s Australian entity and losses of $936 million are recorded in Australia. This ring-a-ring-a-rosy has all the hallmarks of a transaction designed to create almost a billion dollars in losses which can be used for tax purposes in Australia. The Australian company has “invested” almost a billion dollars into two overseas companies which were suddenly liquidated – with no value left for shareholders. Nothing is heard of them since. It brings to mind the infamous Bottom of the Harbour tax schemes of the 1970s and ’80s where the financial engineers – aided by the top end of the accounting community – made investments in companies, stripped those companies of their assets and left nothing for the taxman. In Pfizer’s case, almost $1 billion of cash was “invested” in two companies in the Netherlands which went belly up within three years. 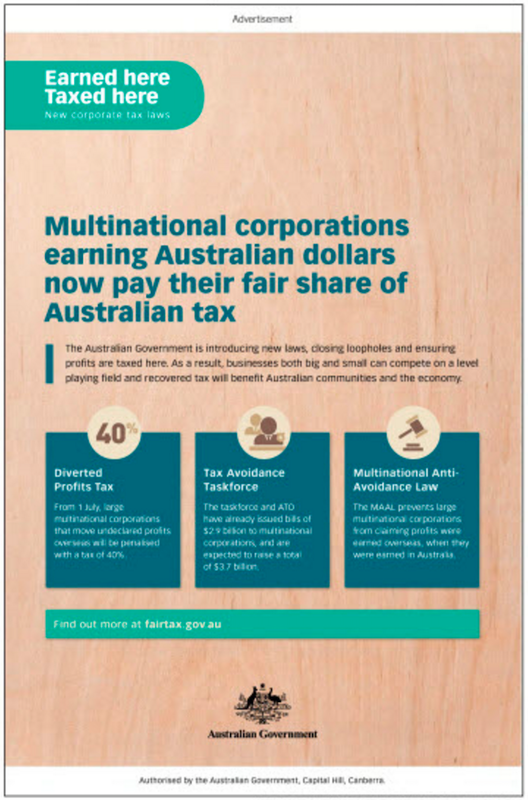 That left the Australian entity – indeed Australian taxpayers – carrying the can for its losses as the freshly created $1 billion in share capital is now sitting pretty for tax-effective distribution to Pfizer overseas. Pfizer has form on such transactions. Back in 2011, another Pfizer entity, Pfizer Australia Holdings, created new share capital of $733 million after it bought two subsidiaries from Pfizer Inc. The two subsidiaries were acquired for hundreds of millions of dollars. Pfizer issued shares, rather than paid cash, to buy these assets from themselves. So, new shares were created at a value of $733 million. This enormous price relied on a fancy asset valuation for the intangible assets held by these subsidiaries, notably “product development rights” of $461 million. These were the main assets acquired. By 2014, share capital of $408 million of this new share capital had been returned in cash, repatriated to Pfizer companies overseas. And the product development rights had already evaporated (amortised) by $161 million. Share capital created, assets written off, again. This is the Pfizer pattern. Share capital is created and its assets vanish. On December 1 2014, yet another Pfizer entity here, Pfizer PFE Pty Ltd, acquired the Innovative Products Oncology and Consumer business from Pfizer Australia Holdings for nil consideration. This included the mysterious product development rights. Nil consideration. These are the rights valued three years earlier at $461 million. Traditionally, when one company acquires a business from another company, one company is the buyer and the other company is the seller. This immutable principle of commerce does not necessarily pertain to Pfizer. Pfizer Australia Holdings describes the transfer of this Innovative Products business as a “distribution”, a “transaction with owners in their capacity as owners”, according to its statutory financial statements. In reality it is no such thing. Pfizer PFE is not an owner of Pfizer Australia Holdings. It holds no shares. It is merely a related party with a common ultimate parent in the US, Pfizer Inc. Behind this narrative of a “distribution to owners” is tax. When you make profits of hundreds of millions of dollars, avoiding the 30% corporate income tax rate is big business. In 2007, Pfizer Australia Holdings was at the helm of Pfizer’s tax consolidated group in Australia and prepared “General Purpose” financial statements, full financial statements and full disclosures. In 2008, it switched to preparing “Special Purpose” financial statements with far less disclosure, especially about income tax. KPMG’s 2008 audit report gave this special purpose report a clean bill of health even though required disclosures of changes in accounting policies were not made. From 2009 to 2012, Pfizer Australia Holdings paid franked dividends to shareholders of $576 million; that is more than half-a-billion dollars going overseas. This is the good stuff, though, the above-board stuff, dividends paid out of profits already taxed in Australia. After 2012, Pfizer ran out of Australian profits to distribute. It had hit the “patents cliff”. The blockbuster drugs Lipitor and Viagra were coming off patent and being challenged by generic competitors. Pfizer’s sales peaked at $2.2 billion in 2012. This used to be the biggest pharmaceutical company in the country. Yet Pfizer had hit another cliff. The company was running out of Australian profits to distribute as dividends. It needed another way to rake the money offshore. And it came in the guise of return of share capital – better than dividends as there are far lighter tax obligations. In 2014, a return of capital of $408 million was made offshore. And now, in 2016, Pfizer has made sure, through transactions with associates in the Netherlands, that there is another billion dollars ready to go offshore when the US overlords make the call. Two things stand out, two takeaways from the “magic pudding” of Pfizer share capital creation and its bottom-of-the-canal tax scheme. One, PAI’s audited financial statements claim that two Netherlands subsidiaries were incorporated in Australia. We can find no record of this. Two, in 2014, PAI invested $208 million in the two Netherlands subsidiaries that were liquidated in the same year for no return. What is an observer to make of that? The Australian government advertisement falls a long way short of telling the whole truth about multinationals’ tax. 2015, it was A$109 million tax paid on revenues of A$2.95 billion and profit of A$287 million.